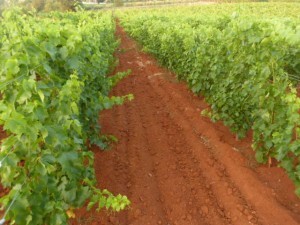 May is a busy time of year in Croatia, specifically for our winemakers in Istria. The most famous and most popular white wine in the region, dry crisp Istrian malvazija, is usually harvested in either September or October depending on the weather, and spends around six months in stainless steel tanks and then a couple of months in the bottle before it’s ready. So around the beginning of May Malvazija is stepping up to the starting blocks ready to be presented to an impatient Croatian (and now international) audience. Once it’s bottled and ready to drink, find a bar, restaurant or cafe overlooking the sea or a little hilltop tavern, and position yourself with the sun going down, pour wine into glass and drink. 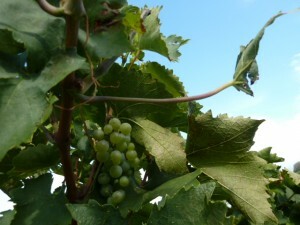 Fortunately having been part of Italy up until the late 1940s when it was passed into Tito and the former Yugoslavia’s hands, this part of Croatia has a solid backbone of Italian culture, and Istrian malvazija (our English version of the grape’s name) can be known as either malvazija istarska (in Croatian) or malvasia istriana (in Italian), slightly easier to read if you spea k Italian. Choose your spelling and stick to it is all we advise! Usually Istrian malvazija given this simple stainless steel treatment should be drunk young and fresh, whilst it still has almost a sparkling tingle on the tip of the tongue. Every winemaker, from relative newcomers Marino and Marko Geržinić, to old hands and gentle giants like Franko Radovan, the Cossetto and Rossi families, all produce a 100% malvazija in this way. 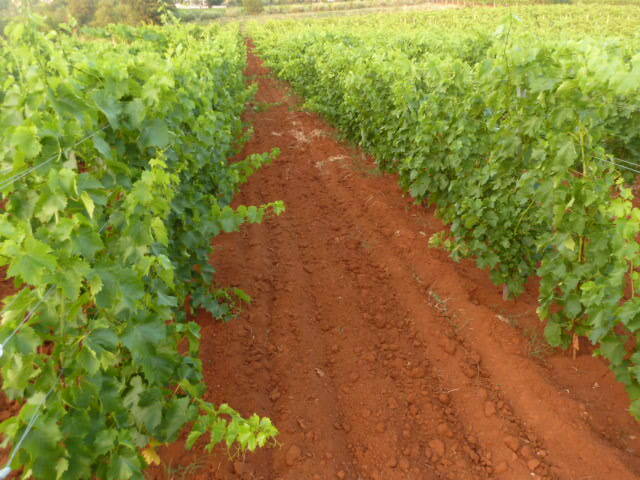 The soil can change its taste dramatic ally – from the red clay terra rossa vineyards of the coastal Istrian region to inland white limestone. 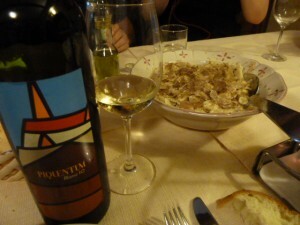 Piquentum’s Malvazija grapes are from a region of Istria 50 kilometres inland, in the heart of white truffle country; think forest floor, damp moss and ferns, and the smell of wild mushrooms and truffles and you’re almost there for one of the new shining lights of Croatian winemaking. 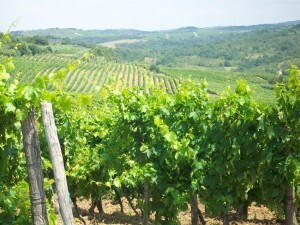 Similarly, Franko Cattunar (one of the largest independent producers in Istria) has vineyards around 20 kilometres from the Adriatic in hills above the hill-top village of Brtonigla and can actually produce four separate and different malvazija wines, all distinct from each other due to the four different soil types of his vineyards – red, white, grey and black. And Cattunar’s main typically produced malvazija does have a characteristic of less citrus and more aromatic herbal notes than those produced adjacent to the sea. 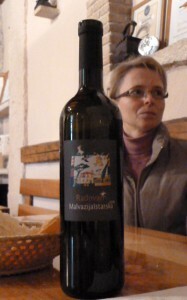 Not to say that malvazija doesn’t age well. Bruno Trapan’s 2009 organic labelled ‘Ponente’ aged well for 2 years (NB: now no longer with organic certificates) but sadly later vintages haven’t, whereas we’d still happily drink Franko & Danijela Radovan’s 2010 Malvazija Istarska if there were any left! Some vintages taste better than others, possibly because of what is put in them (or left out?!). As with Radovan’s delicious crisp malvazija, Franco Cattunar’s unoaked white always ages well, meticulously made, the red soil version giving it that slight saline edge from the Adriatic and great minerality from the terra rossa. We tasted the latest vintage from tanks a few weeks after harvest, as it fizzed and frothed in our glasses with aromas of freshly sliced Granny Smith. We can’t wait! 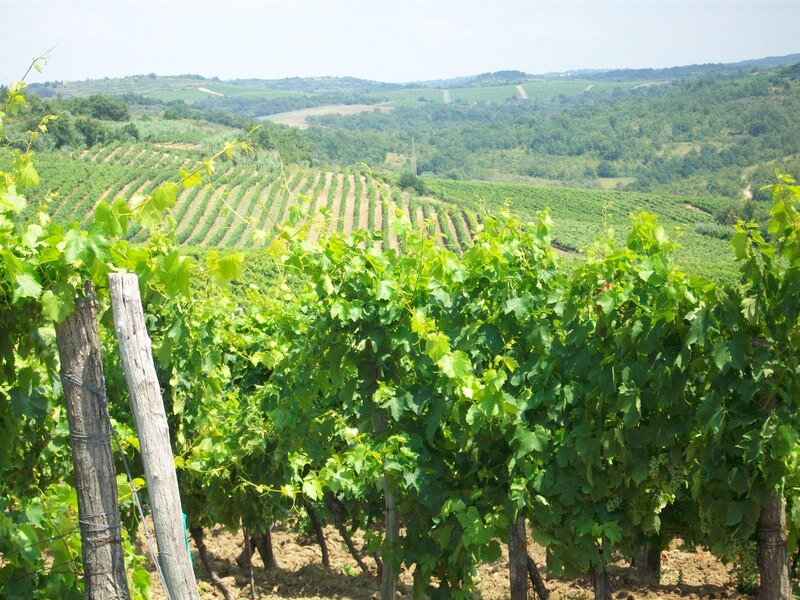 But then we look to the opposite side of the Istrian malvazija fence and consider the whites from two natural artisan producers – Giorgio Clai and Mladen Rožanić of Roxanich Vina. 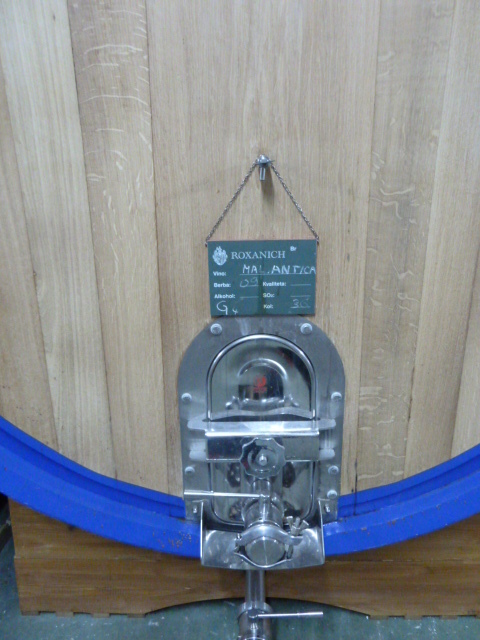 Roxanich’s natural white Antica 2008 may be 100% malvazija but his treatment is wildly different pushing it to extremes – 80 days’ skin contact and 36 months in French oak (12 months in each of 70, 55 and 38 hl sized vats progressively reducing in size annually) produces an ‘orange’ wine of extraordinary colour and flavour. 2007 and 2008 were certainly the best of his recent vintages, again testament to differing climate conditions and perhaps later experimentation. Giorgio Clai’s Sveti Jakov (Sa int Jacob) is another 100% malvazija with no intervention and whilst Roxanich practices such precise techniques in the winery, some would say perhaps too exact and precise, Giorgio’s adopted approach is the most relaxed – a sort of free-for-all for the grapes, a lot of patience and an amiable shrug: ‘when it’s ready it’s ready’. His legendary orange wine has now picked up a cult following outside Croatia and his native Italy, with its rich aromas of acacia honey and dried figs that transport us back to the white clay soil of the Istrian hills overlooking the Adriatic every time we open a bottle. 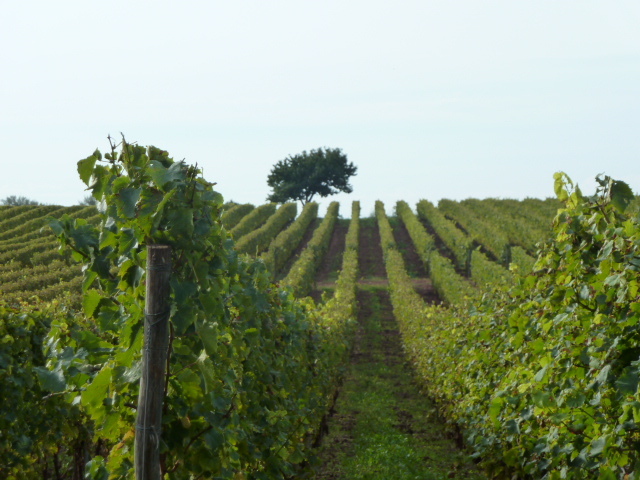 Istrian malvazija is an amazingly adaptable grape too, and its versatility is seen not just in the single grape variety wines produced throughout Istria, or in its successful ageing treatment in French, Slavonian or American oak. 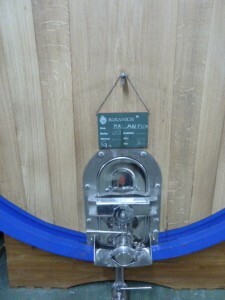 A few are experimenting with acacia barrels which can give malvazija a light honeyed scent to start, although some say it becomes far too intense as it ages. However, 2 years in barrique for Uroš Klabjan’s black label Malvasia from across the Slovene border in Osp, just behind Trieste, creates a considerable work of art. A tiny exquisitely made production, a perfect combination with the seafood served at his mother’s restaurant near to his winery. Similarly, Dimitri Brečević’s Piquentum malvazija continues to wow and woo people with its partial ageing in used French oak barrels, as he stretches it further and further each year. In many’s eyes Dimitri is fast becoming the greatest winemaker of Croatia as his training at Domaine de Chevalier and practical knowledge and experience continually push boundaries. Or try Clai’s extraordinary ‘Ottocento Bijeli’, a white cuvée of malvazija, sauvignon blanc and pinot grigio, the colour of old gold with a limited production of fewer than 6,000 bottles a year. New vintage soon to arrive on our shores! PC Wines are delighted that the Real Wine Fair was home to all these Istrian malvazija wines for three days in May 2012 (update: RAW Fair 2012 and 2013 saw most of our natural producers attending in person, and will again in 2014). 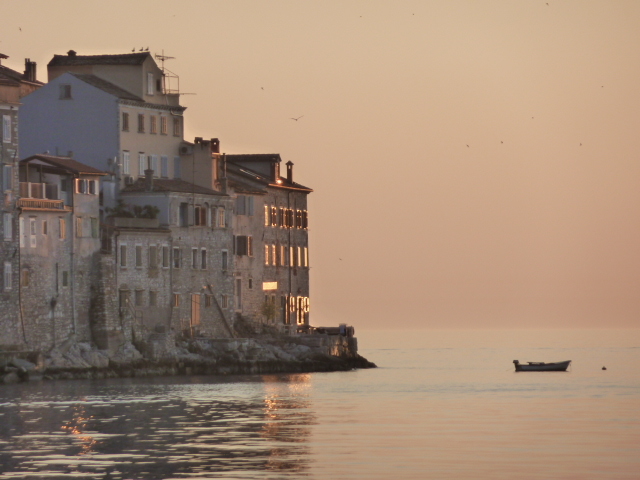 Freshly bottled and bursting with citrusy flavours, or aged and smoky silk, Istrian wines will be available to taste and savour with us, and some great guest winemakers will be heading in to say hello. Many are now available in stores across the UK, contact us direct for stockist lists.